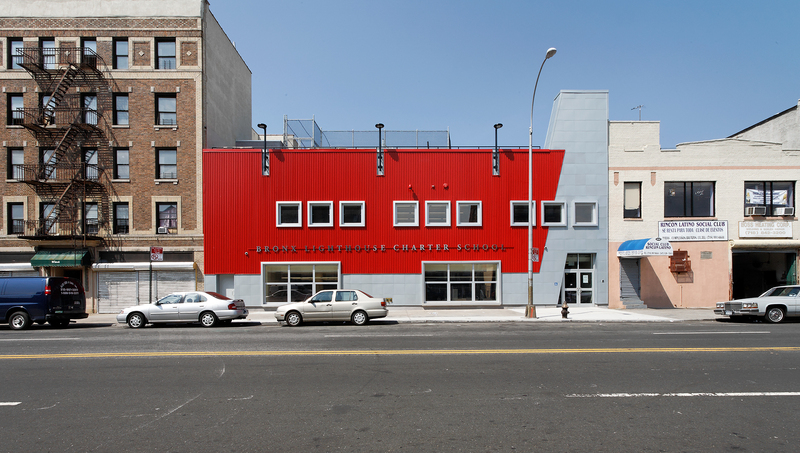 As the first charter school building to qualify for NYC School Construction Authority financing, 1001 Intervale Avenue forged a pathway for future SCA-funded developments. It established a model for design guidelines and became an award-winning structure, serving over 500 students in kindergarten through eighth grade. To fund the project, Type A Projects principals developed a groundbreaking financing structure between two not-for-profit organizations and the NYC School Construction Authority. Our team managed a complex gut renovation and developed a practical program of spaces that met our school partner’s pedagogical needs and the requirements of the SCA. The facility includes 30 classrooms, a cafetorium, science labs, computer labs, and rooftop play space.